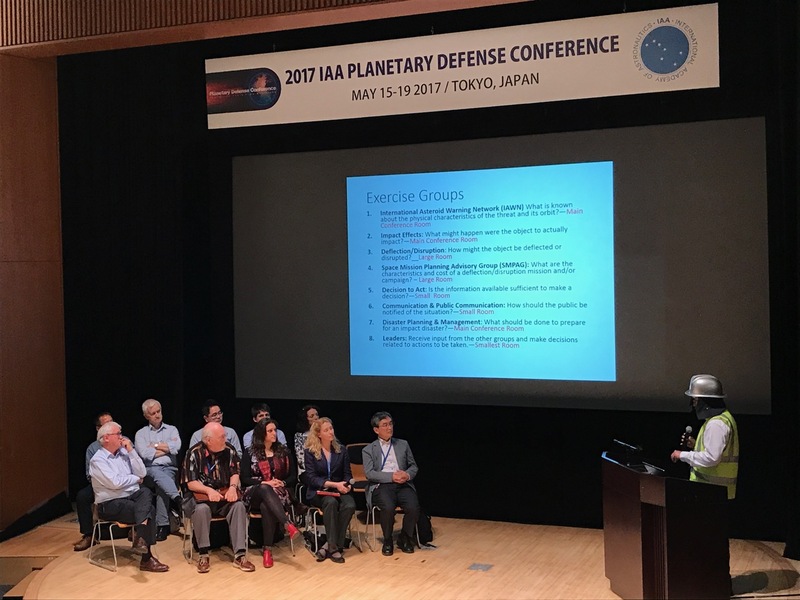 Last May, a diverse group of astronomers, space agency executives, government representatives, and theorists who study tsunamis and asteroid impacts met for a week in Tokyo to discuss the state of planetary defense. This group also included a few members of the NASA’s Frontier Development Lab (FDL), an applied research accelerator, aims to foster collaboration between AI experts and planetary researchers expressly for the purpose of finding solutions to NASA global challenges, including Planetary Defense. 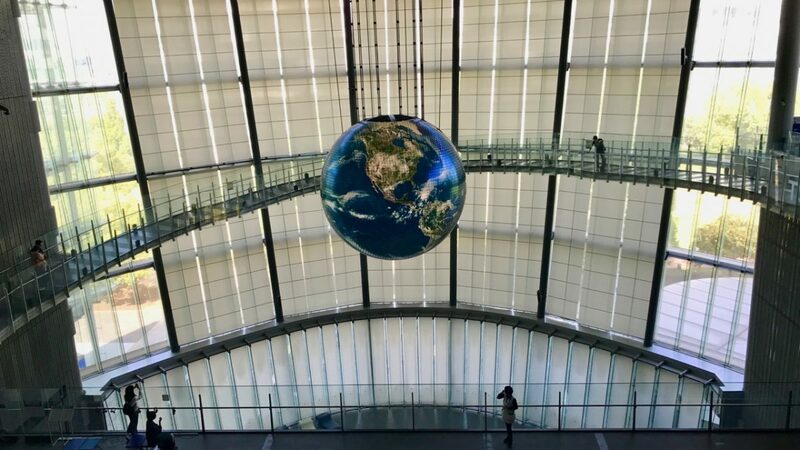 The conference took place at Japan’s Miraikan (literally, “Future Museum”), which seemed highly appropriate given that our topic was the threat posed by asteroids and comets, and the actions we might take to address it. After listening to talks by several experts, attendees began a role-playing game which simulated the threat of a ~200m asteroid that might—or might not—strike Earth in ten years. Over the course of a week, we took on the role of government officials, United Nation committees, scientists, and journalists, making decisions on how to handle the threat, communicate it to the public, and solve it, using every bit of information we have about asteroid detection and mitigation. The short version of what happened is this: we decided to send a complex armada of spacecraft to the asteroid to inspect it, and then detonate a nuclear device to deflect it away from Earth. The week ended well, since the asteroid missed our planet, thanks to our skilled application of science and technology. We all felt like shouting a relieved hooray, but in reality the outcome was not that simple. True, this was only a simulation or game—but it taught us much about the enormous and sometimes overwhelming difficulties humans face when we have to take unbiased, logical decisions in times of acute crisis.. In our exercise, the asteroid was discovered on Day 0 (simulation date May 15, 2017) but until Day 2 (November 30, 2018) we had no clear idea where impact was supposed to occur. All we knew was that several countries were on the risk corridor—including Japan, China, Russia, Denmark and Ireland—that the impact had a one percent chance of occurring, so a Level 4 on the Torino scale, which measures hazards associated with near-Earth objects. Tensions increased on Day 2, when we learned that the probably of impact was 96% along a corridor somewhere between Beijing and Tokyo—a terrifying prospect because this is one of the most densely populated and economically developed parts of world. At that point it was clear that the “world” (i.e., all conference attendees) had to devote enormous resources to handle the threat. The Day 2 of the simulation was probably the most challenging because it generated complex, difficult, and sometimes heated discussions between scientists and politicians. On one hand, space agencies had designed two rendezvous missions and several kinetic impactor spacecraft that could divert the asteroid away from Earth. But several government leaders were nervous about focusing solely on kinetic diversion and suggested installing a nuclear device on the rendezvous missions because it would give us a Plan B—the opportunity to explode the object. This dispute generated a discussion on an enormous number of questions about the asteroid and its size, density, and orbit, all of which needed answers if we were to assess the relative feasibility of these two mitigation scenarios. Government leaders were not satisfied with scientists’ answers, which seemed too tentative and cautious. 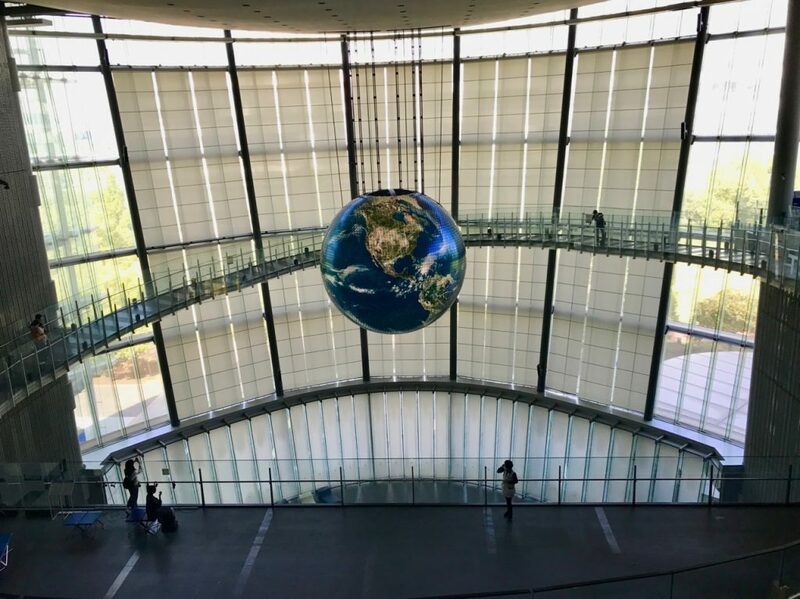 Engineers from space agencies had a hard time explaining the pros and cons of various mitigation scenarios to government leaders and the risks of failure presented by each. Our day was full of controversy, and government leaders grew exasperated, losing patience as they faced an overwhelming need to act, and act now. The Day 3 intensified rather than relieved our anxiety, because that’s when astronomers discovered that the asteroid was in fact a binary system with two components of 270 m and a 100 m, an enormous and unanticipated complication for the deflection campaign. And, to make matters worse, we were no longer sure if the kinematic impactor strategy would work because the large object was denser than expected and its companion was only loosely bound to it. 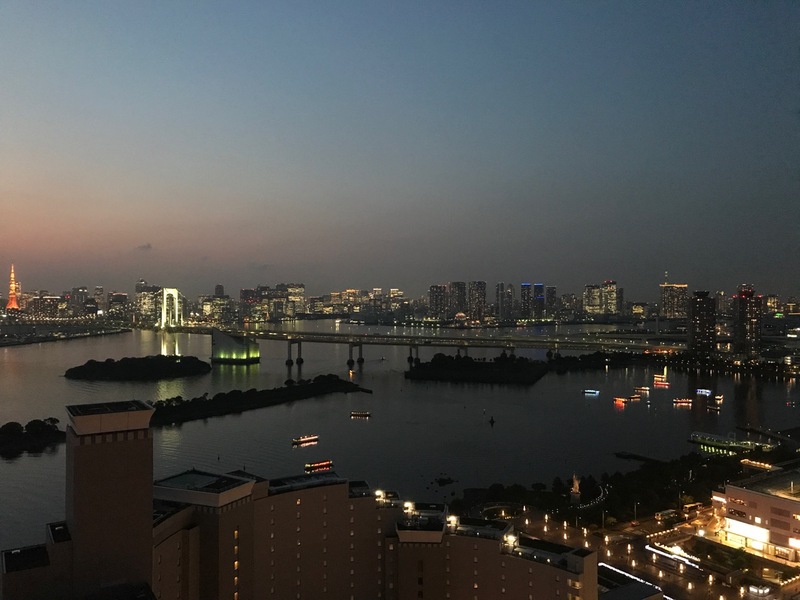 The problem we faced was very complex: successful diversion of the primary might not deflect the secondary, which might then continue on a separate path and wipe out the city of Tokyo, which had by now been the confirmed as ground zero. Despite those dire facts, nations still could not agree to install a nuclear device on the reconnaissance spacecraft. On Day 4 (June 15, 2023, one month before launch), we learned that the collapse of several governments and various changes of leadership now made it possible to install a nuclear device on the two rendezvous missions. In the end, one of our rendezvous spaceships made it to the asteroid and one missed. On Day 5 (February 28, 2024), decision makers decided to deploy the nuclear device and detonate it 1 km from the two components. This appears to have been the right decision because the primary was slightly nudged away from Earth and the secondary was destroyed. An alternative scenario with four kinetic impactor strikes also succeeded but would have occurred later in 2024, and have been an all-or-nothing shot with no Plan B. Considering the state of global disarray, and the deepening political and economical crisis we faced, we no longer believed that politicians would have taken the risk of waiting until 2024 to act. The urge to do something now would have overwhelmed other considerations, and that would have doomed any approach that called for four kinetic impactor strikes. Mitigation technologies which have been investigated by the FDL team (Nesvold et al., 2017). Fortunately, in 2016, the NASA Frontier Development Lab (FDL) was charged with answering outstanding questions of planetary defense by bringing planetary astronomers together with AI experts to work for a limited time at the SETI Institute. 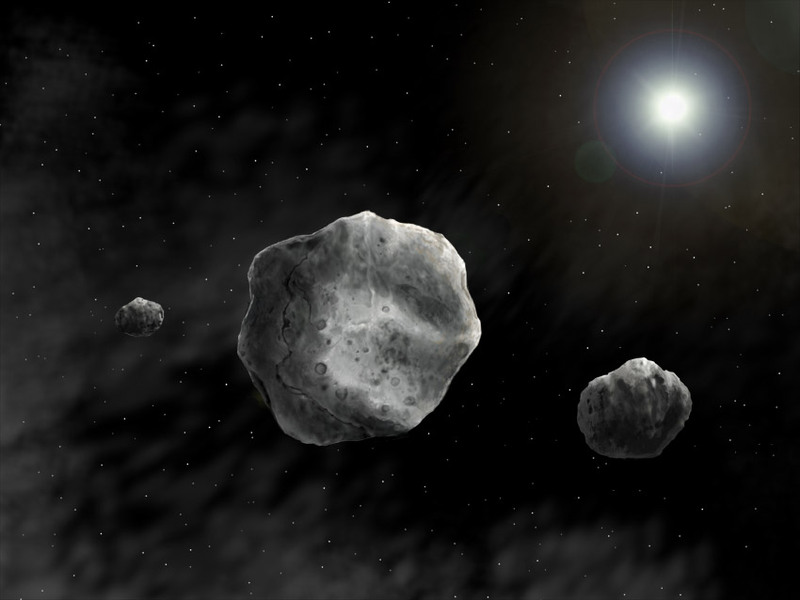 One of the Lab’s teams chose to develop what it calls a Deflector Selector, an AI algorithm that will assess the efficiency of several mitigation scenarios based on a realistic population of asteroids. Team members decided to focus on three technologies: nuclear devices, kinetic impactors, and gravity tractors, which have not yet been developed and tested in space. After creating an artificial, but realistic, population of 6 million objects, this group simulated the detection of those asteroids and the time necessary for a mitigator spacecraft to reach them. Finally members simulated a deflection, taking into account the size, orbit, and density of the asteroids, the launch vehicle (and thus the mass of the payload), and the properties of the deflector technologies. If we know these factors, we can estimate the success/failure ratio for a population of asteroids. This simulation produced a multidimensional data set that required up to forty hours of run time on one hundred core computers. 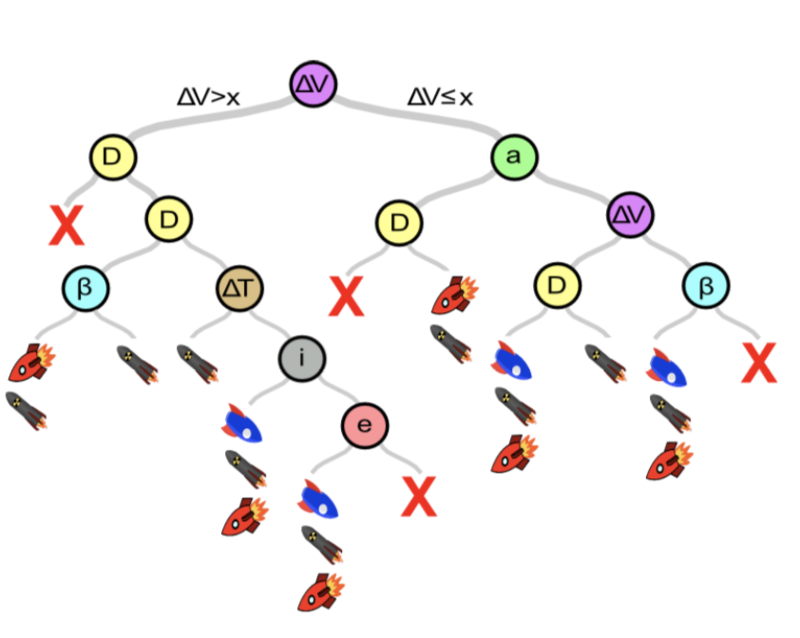 In theory this simulation could be repeated with slightly different populations, but computing these calculations is expensive. Instead, the team decided to train an AI on the first population so it could predict in mere seconds which combination of technologies would work best on an asteroid based on factors such as its orbit and composition. The Deflector Selector teaches us that nuclear devices are the most effective deflection method for 50% of the asteroid population, but we have be very careful here because a launch vehicle failure could have a significant impact on life on Earth. In some cases kinetic impactors are almost as effective as the nuclear option but that depends on the internal composition of an asteroid, which is still poorly constrained. Thankfully, space agencies have launched, or will soon launch, space missions like AIDA, OSIRIS-REX, and Hayabusa 2 to collect these measurements on a real asteroid sample or study the interior by kinetic impact. Gravity tractors require a long lead-time before impact, which is a function of the orbit and the size of the asteroid. We need better asteroid monitoring and detection surveys before we can effectively use this mitigation technology. LSST, NEOCAM and other all-sky surveys should be prioritized if we are serious about peacefully protecting our planet from those asteroid threats. Clearly, then, AI has a key role to play in planetary defense, and we have begun using it in innovative and effective ways. But the problems we face are so complex that we will need one, and probable several, smart computers to assist us—and possibly to help us get fast and accurate answer in times of crisis—times when the fate of our fragile world hangs, literally, in the balance.